Graduated with an AA in accounting from Coastal Carolina Community College in Jacksonville, North Carolina; graduated in 1982 from the University of North Florida with a BBA in Business Management; in 2004, certified as a Six Sigma Green Belt from Villanova University. For the last 31 years, I've worked as an Independent Contractor for several Defense and State Department prime contractors on programs in the Middle East, Africa and the Pacific Rim. Employers have included the following: USMC Maritime Prepositioned Ships program at Blount Island, Florida and Diego Garcia, British Indian Ocean Territory; Mansour General Dynamics Nevada Corporation on the US Army Desert Fox program in Saudi Arabia; USAF Caribbean Basin Radar Network in Ft. Lauderdale, Florida; Eastern Sector Supply Supervisor for the Royal Saudi Air Force's Peace Shield program in Saudi Arabia; US Navy Defense HIV/AIDS Prevention Program in San Diego and 7 countries in Africa; Compound Manager/Logistics Supervisor for the US State Department's International Narcotics Corrections System Support Program in Kabul, Afghanistan and four Provinces. Currently own my own company, H. K. Bowen & Associates, LLC providing the same types of services to individuals and businesses as I did to the US Government. Considerable time is spent working on the website. Hopefully, the full blown version of the website will be ready within the next few months. Left a basketball game on a Friday night, went down the slope to exit the parking lot, turned left to go home, heard a police car siren, turned to the right too much and my car went up the guide wire to a power pole. Sparks flew. Needless to say, this incident knocked out electrical power to hundreds of homes in and around the surrounding area. Ken Bowen added a comment on his Profile. Ken Bowen posted a message. Happy Birthday Oliver. It's been a long time. Too long. Ken Bowen has a birthday today. Ken Bowen has a birthday today. New comment added. Ken Bowen has left an In Memory comment for his Profile. May the Grace of God be upon you Betty. There are others who knew you better than I but I will never forget you. My condolences to Betty's family during this sad and trying time. HAPPY BIRTHDAY Lloyd! Wanted to wish you a Happy Birthday before I overlook it or forget about it. HAPPY BIRTHDAY Bill!!! May y7ou have many more to come! Ken Bowen posted a message. New comment added. Happy Birthday Bill and may you have many more to come. HAPPY BIRTHDAY DONALD! Wish you many more to come. HAPPY BIRTHDAY Lloyd and I wish for you to have many more. We have a long history of knowing each other and being friends. You are definitely a role model for anyone who strives to be a well-rounded great human being, It was always fun being around you because of your keen sense of humor and knowing how you always conducted yourself. 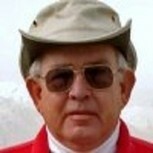 Ken Bowen updated his profile. View. Ken Bowen changed his profile picture. Even though I could not make the trip to the reunion, I thought of all of you last night and pictured myself among everyone having a great time remembering the good ol' days. If I could have been there, I would have. I also wanted to spend a couple of days just going around Raleigh and visiting some of the old neighborhoods. I am sure everyone who attended had a great time. You and the committee put in a lot of hard work into making the event a success. Congratulations to all of you. I am glad to hear that this website will stay active. It's a great medium to stay in touch with those near and far away. If you need any financial support in this regards, please let me know. 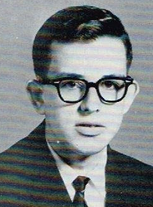 To all the 1965 Enloe classmates, take care and may God be with all of you. P.S. Thanks for publishing the photos.